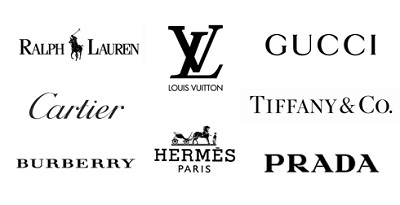 Luxury brands are well positioned to personalise their online marketing, with 80% knowing their store customer by name, according to new research. 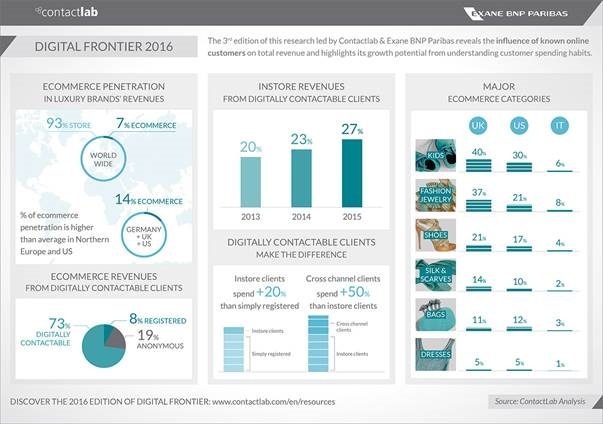 The “Digital Frontier 2016: Digital Luxury is turning Mainstream” study, produced by customer engagement specialists Contactlab in conjunction with Exane BNP Paribas, revealed the influence of online customers on total revenues. Digitally contactable customers are high spenders in-store and account for 27 per cent of in-store revenue and 73 per cent of ecommerce revenue (Figure 1). These figures strengthen the evidence for brands to connect ecommerce with bricks and mortar stores to develop an integrated offering and innovative marketing programs. Customers with a known digital presence can have a powerful influence on global brand sale revenues. It is increasingly valuable to utilise customer information gathered from different touch points of the customer journey. Luxury brands need an online presence in order to connect with their digitally contactable customers, whose extra cross-channel spending is 50 percent greater than in-store only customers. An integrated strategy will unleash revenue generating potential for brands to influence customer purchasing decisions by using various digital tools which promote customer engagement and encourage brand loyalty. Massimo Fubini, continues: “There is a wave of growth in ecommerce as many customers resort to buying online at the click of a button for convenience and ease, however there are significant advantages if brands can drive these anonymous consumers to a more engaged, cross-channel relationship. In-store digitally contactable customers spend 20 percent more than those who are simply registered, and those known customers who buy both in-store and online spend even more. The worldwide ecommerce penetration is growing steadily, reaching 7 per cent which increased from 6 per cent in 2014.